of all the teams taking part in the main draw. at least 24 hours before arrival. The Organizer will cover board & lodging costs of all the teams taking part in the main draw. The organisers will arrange local transportation for all main draw participants. For transportation between the nearest international airport (Larnaka International Airport or Paphos International Airport) it is necessary to provide arrival details at least 24 hours before arrival. 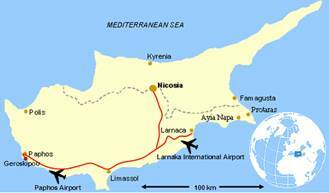 Cyprus is one of the favourite holiday destinations in Europe, located at the Eastern end of the Mediterranean Sea. The island offers a high level of tourist services and attracts more than 2 million tourists every year. 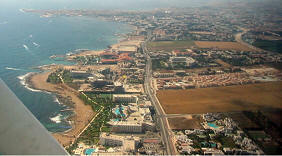 Pafos is a lovely holiday destination situated in the western part of the island. There is unlimited choices of things to do, people are friendly and the nature is unique. 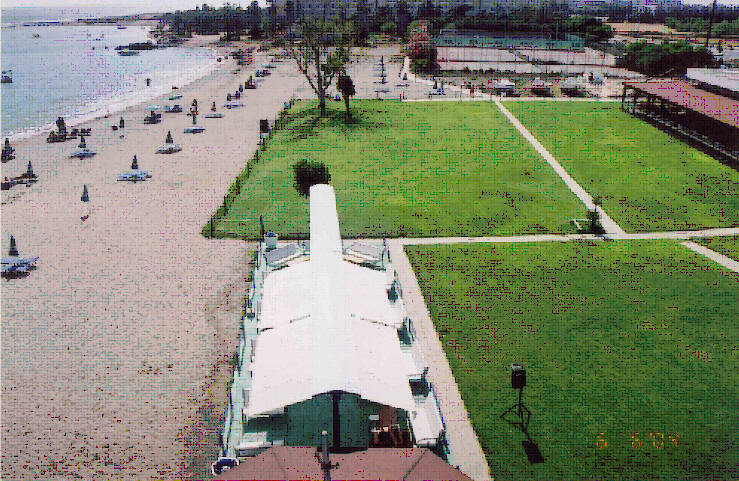 The main tourist area of the Pafos region is Kato Paphos which is situated around the old Venetian fort. There are many shops, restaurants, bars and discos to be found in and around the hotels and along the picturesque fishing harbour. It is also an important historic place with many archaeological sites, the mosaics, the Odeon, the Tomb of the kings and many other old Roman remains. These historic sites are included in Unesco list of worlds cultural heritage sites. 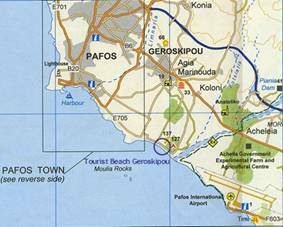 Geroskipou is situated at the North-East of Pafos and covers an area of nine square kilometers which include the area reaching down to the sea. The wild beauty of the rocks, the calmness of the bright green fields and tranquility that the blue colour of the sea, create a fabulous combination. A comlbination that justifies the mlyth about the Holy Gardens of the Goddess Aphrodite which inform us that they were situated at the place where Geroskipou stands today. The beauty of the landscape and its rich history render Geroskipou a place of attraction for every visitor. Anyone visiting Geroskipou will be able to enjoy the tranquility of a small traditional community without being forced to be deprived of any of the services which a big city has to offer.